The Republic of Costa Rica is situated in Central America and bordered by the Pacific Ocean on the west, Nicaragua on the north, Panama on the southeast border and Ecuador south of Cocos Island. This rugged country with abundant rainforests and coastlines on both the Pacific and Caribbean oceans is known for its volcanoes, biodiversity, and white sandy beaches. The capital of Costa Rica is San Jose which is home to the famous Pre-Columbian Gold Museum. Almost a quarter of the country is protected jungle area teeming with wildlife, notably quetzal birds and spider monkeys. Costa Rica has a population of roughly 4.9 million living in an area of almost 51,000 square miles. The Manuel Antonio National Park in Costa Rica is an expansive coastal rain forested nature reserve that is rich in wildlife and multiple marine species. The best time to visit the park is during the dry season between December and March which is peak time for walking the rainforest trails and enjoying the many beaches. Although the weather is generally warm and sunny all year round, the tropical wet season comes around from May to November. The most popular holiday time is Holy Week which varies from March to April, or during the Christian Easter week. Manuel Antonio is the smallest national park in the country with just 1,700 acres of land but more than 130,000 acres of water. Despite its size, it is one of the most visited parks in Costa Rica and was rated in 2011 by Forbes as one of the twelve most beautiful national parks in the world. 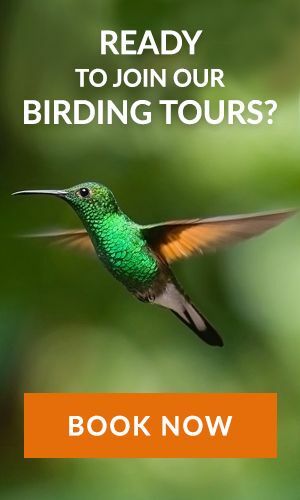 Almost everybody who takes tours to Costa Rica includes Manuel Antonio on their list of places to visit for its beautiful beaches and amazing wildlife. 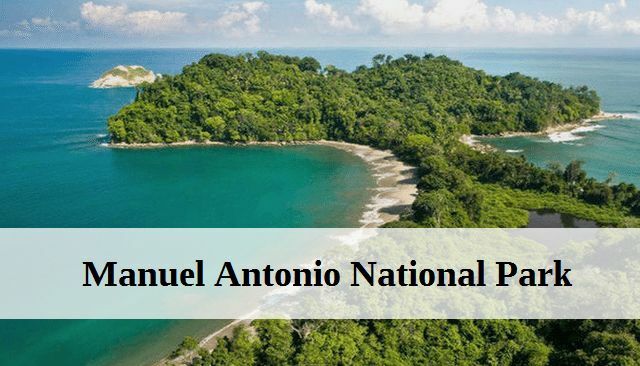 The Manuel Antonio National Park was established in 1972 when it was decided to preserve the natural beauty and immense biodiversity to be found in this area. Because of the huge variety of nature and wildlife present in the park, it is considered to be one of the most biologically diverse regions in the world. White sandy beaches, a waterfall, and several hiking trails draw thousands of visitors who come to view the plethora of animals protected in Costa Rica’s National Park. The park is situated on the Pacific Coast just south of Quepos, 120 miles from San Jose, or an hour’s drive from Playa Jaco. There is only one road from San Jose along Route 27. At the Jaco exit, you continue south until you reach Quepos. The main town Quepos is quite close to Manuel Antonio National Park and to get there you drive through Manuel Antonio Hill where most of the area’s restaurants and hotels are located. Operating hours are from 7 a.m. to 4 p.m. from Tuesdays to Sundays and the park is closed on Mondays, so if you are only visiting for one day, plan accordingly. Tickets are sold from the office at the park entrance where you will be given a map showing the different hiking trails, beaches, and viewpoints. There are several hiking trails and guided walks you can partake in while visiting Manuel Antonio. You can spend a whole day exploring the trails which lead to beautiful beaches, stunning viewpoints, and a waterfall, but most people prefer to spend their time on the beach. You can always reward yourself with a dip in the refreshing blue water on one of the beaches after hiking along the sloth trail. The trails are well made with platforms so you won’t have to venture into the undergrowth, so shorts and sandals are fine. Remember to use liberal amounts of mosquito repellent and sunscreen. There are more than one hundred mammal species and 180 bird species in the nature reserve. The most common animals are the white face monkeys, iguanas, two- and three-toed sloths, lizards, and the endangered squirrel monkeys. Whiteface monkeys and raccoons have no fear of humans and often try to steal food from visitors, so be careful. Other common animals that can be seen in the park are coatis, frogs, and toucans. In the ocean, you will sometimes see whales and dolphins playing in the waves. The most popular is Playa Manuel Antonio Beach situated in the national park. Other beaches in the area are Gemelas Beach, Espadilla Sur/Norte, and Puerto Escondido. Most visitors spend their time on the beaches, swimming and getting acquainted with the raccoons and white face monkeys that roam freely. At Playa Manuel Antonio Beach you can explore the tidal pools and fantastic coral reefs and if you bring your own equipment you can snorkel around the area. On the other side of the beach is Playa Espadilla Sur where Espadilla Norte and the hotels on the hill can be seen from its most northern point. Gemelas and Puerto Escondido beaches can be reached by following the trails. Playa Espadilla Norte Beach is popular with people who love to sail, surf, parasail, Jet Ski, and boogie board. Surfboards can be rented and since this beach is outside the national park you don’t have to pay an entrance fee. Costa Rica has the famous Nicoya Peninsula which can add adventure to your trip and can make it a really memorable one.